Vietnam has a big intellectual property rights problem. Some believe, in order to fix that, it has taken down the world’s number 1 streaming site. This is actually a question that has bothered a lot of online users recently. Why did the operators behind the world’s single largest online streaming service suddenly decide to pack up and bags and leave the scene? News reports talking about the shutdown started to surface about a week ago. These reports revealed that 123movies, had actually gone offline. Possibly for all times to come. Some might not know 123movies as 123movies. It goes around by many other names. Other names such as GoMovies and 123movieshub. Regardless of the name, the operators of the site announced a week ago that they had decided to shut down their online services. A surprising announcement to say the least. Many reports in the media had labeled the online streaming site as the largest piracy site anywhere in the world. In fact, it was the MPAA who labeled the site as such. But now it has disappeared straight off the face of the online world as if it never existed in the first place. There is no doubt about the fact that Hollywood indeed had poked its long fingers into 123movies’ rather large pie. Some say that several developments that took place in Vietnam in recent weeks and months could have had made great contributions to the eventual downfall of the streaming piracy site. Law enforcement agencies are taking out torrent sites left and right. In the last couple of years, we have seen the likes of KickAssTorrents as well as ExtraTorrents go down within days leaving millions of their users without access to premium pirated content. But that has not stopped these Torrent sites from fighting back and continuing to live. Take, for example, a torrent site like The Pirate Bay. 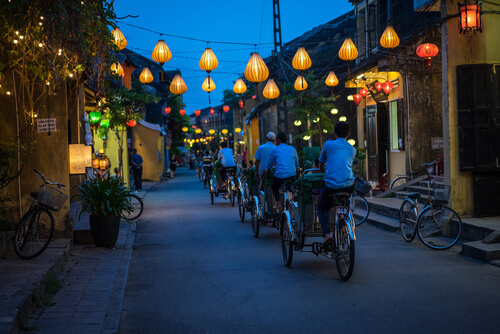 Vietnam hasn’t been the most accomplished region in terms of its intellectual property rights regulation. It is still somehow managing to go great guns despite all the lawsuits and law enforcement agencies coming after it. But it is also true that The Pirate Bay has now taken a bit of a back seat in this regard. It mostly works in the background. These are the sites where users don’t have to download or upload anything. They just come to these sites, consume what they want to consume and then go home. It is this factor of convenience that has made streaming sites all the rage in the modern world. Streaming sites themselves have worked really really hard to allow law enforcement agencies to notice them. Modern streaming sites are bona fide Netflix look-alikes when it comes to their stylish interfaces. And the fact that users can stream content from these streaming sites almost instantly. Of course, they don’t pay for any of the content they watch on these sites as they would with Netflix. They long for instant gratification or fix. And these streaming sites provide them with that fix every single time they log in. These are the kind of features that made 123Movies the most successful streaming site in the world. The piracy streaming site tried to mix things up by rebranding itself several times in the past 18 months or so. That’s why regular users of the site saw other streaming sites such as GoMovies and 123movieshub advertised on 123Movies. Perhaps it is because of these rebrandings that 123Movies managed to build a rather consistent base of users. The numbers of which went well into the millions. No one can deny the fact that if such a piracy streaming site had its base in regions such as Europe and/or the United States, the law enforcement authorities in these countries would have likely come breathing down the service’s neck much sooner. Allegedly, 123movies piracy streaming site had its base in Vietnam while it skyrocketed to the top of the piracy streaming site platform. Now, Vietnam isn’t really known as a country that staunchly supports rights such as intellectual property rights. Nevertheless, Hollywood along with all its friends have deep tentacles. They have the support of the government. And hence they are never far away from companies who try to sell their premium content to users for free without having prior permission. Ted Osius, the United States Ambassador to Vietnam, called on the country’s government to actually criminally prosecute all the people who worked behind the popular movie streaming site known as 123movies. He did that in March of 2017. But things are changing in the country in terms of intellectual property rights regulation. Along with that, he also wanted the local government to take action against other piracy streaming sites such as Putlocker variants and Kisscartoon. In order to make sure that he saw some progress, Osius also met with the Minister of Information and Communications in Vietnam, Truong Minh Tuan. After the meeting, the Minister assured the Ambassador of the United States of America that Vietnam, as a country, wanted to safeguard and protect copyrights. Truong also told Osius (reportedly) that the local government would pretty soon make a decision on how it would like to deal with all the piracy streaming sites. Coincidentally, or perhaps not so coincidentally, while these discussions took place in Vietnam, 123movies had to suffer a pretty lengthy period of service downtime. The MPAA did not stop the onslaught there. About a year later, it went on the offensive again and piled on the pressure on streaming sites. The MPAA started off its efforts by branding 123Movies as the single most popular illegal streaming site in the world. The association also noted that this streaming site serviced around 98 million users a month from its base in Vietnam. And that basically marked the beginning of the end for 123Movies it seems. The operators behind the site announced that they would shut down their streaming service on March 19, 2018. One interesting thing that needs a mention here is the way 123Movies decided to shut down its streaming service. The operators behind the site announced that they would shut down their service with a message. And accompanying that message, a countdown timer. The countdown timer gave the site a total of five days before the site would simply run out of time. As predicted by the countdown timer, the site did shut down when the countdown timer ran out. Since then, the site has remained in a dormant state. But, looking at that, it is hard to say that the MPAA brought down the site on its own with its influence. Readers who have followed Vietnamese news for the last couple of years would know that the country has sought to overhaul and fix its laws relating to intellectual property rights. Of course, there may be many reasons for the country’s government to do that. But one cannot ignore the fact that some of the motivation for doing so must have come as a result of the pressure put on it by countries such as the United States of America. Then, one shouldn’t overlook the fact that the World Intellectual Property Organization, WIPO, voted Duong Chi Dung, the Vietnamese Ambassador, as its chairman for the organization’s 2018-2019 tenure. This marked the first time in over a decade that a region from the Asia-Pacific actually had one of its own representative serving as the WIPO General Assembly chairperson. Of course, that appointment would come with its own set of requirements. When it comes to the real world, there is rarely a thing such as free lunch. Apparently, it also applies to the General Assembly. The organization would want its chairperson to do something meaningful about intellectual property rights in his own country. And one also has to look at the way the Vietnamese Ambassador got to the position of the chairmanship. The diplomat from Vietnam had the honor of 191 member nations backing him during the 49th session of the General Assembly which took place in the city of Geneva, Switzerland. After the appointment, back in February, several media outlets in Vietnam started to publish various stories which detailed how Vietnam has begun its plan of revamping its laws and improving the country’s stance towards issues such as intellectual property rights. The media also saw the United States Chamber of Commerce GIPC (Global Innovation Policy Center) increasing Vietnam’s score on the issue in its sixth annual International IP index. The United States Chamber of Commerce GIPC released the report the same month. The Vice President of Global Innovation Policy Center, Patrick Kilbride said that Vietnam, as a country, had taken important steps. Steps to take the country forward towards stronger IP framework. These steps, according to the Vice President, would allow Vietnam to compete much better with its peers in Southeast Asia. Patrick cited the country’s increased score as evidence of the optimism shown towards it. He also mentioned that with continued new investment in strong Intellectual Property rights, Vietnam could possibly even harness its positive momentum. It could do so to the extent that one day it would become the leader of IP rights in the region. That would also allow the country to stimulate its local/domestic capacity for all types of innovation. Moreover, it would enhance the country’s global competitiveness. The Vice President also credited the Vietnam government to strengthen the country’s criminal standards for Intellectual Property infringement. A lot of people saw this as a move to solidify the environment of enforcement in the entire country. Now, amid all the above-mentioned positive developments, concerned entities also noted that the country still had work to do. In other words, it had to cover a long way in order to come to the standards that western countries have already set for themselves. 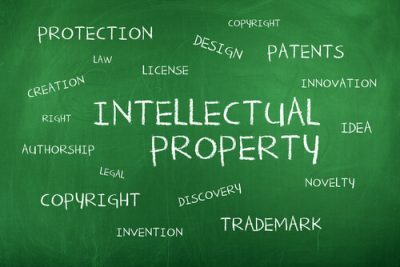 About a month ago the Vietnam News publication cited a report in which the Ministry of Science and Technology deputy chief inspector said that while the country could see an intellectual property court in sight, no one had made it clear if and when one would appear. Nguyen Nhu Quynh told reporters that Vietnam needed an intellectual property court. But the Ministry of Science and technology did not really know when such a court would come into existence in the country. Apparently, this is what some parties are exploiting. Some are doing it intentionally. While other parties simply do not know how to go about their business any better. She also mentioned that the organization had the knowledge that several young people had made tonnes of money via their businesses that they ran online without any capital. These young people took advantage of just a few tricks. This lead to a great increase in their Facebook page fans. She further added that unfortunately a lot of these online businesses had the habit of selling fake stuff. And that, according to the law in the country, counted as infringement. 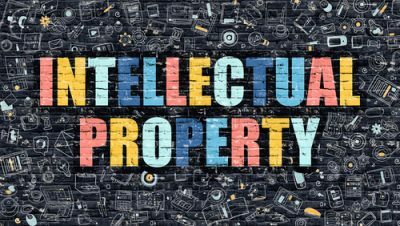 The situation for Intellectual Property rights will perhaps change on April 10, 2018. Because concerned authorities will introduce new Intellectual Property regulations in the country. The government will put these new rules in place throughout the country. These rules will deal with cross-border and local copyright protection issues. Moreover, concerned authorities have also made significant amendments to the Penal Code. They actually did so last year. Those changes have taken effect only this year though. 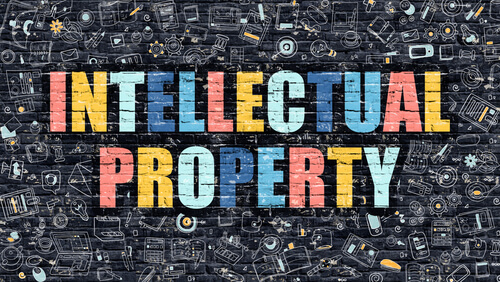 The new changes will mean that Intellectual Property infringements that businesses involve themselves in will now come under criminal prosecution. One report from Vietnamnet.vn went into great detail about the situation. Readers who want to read more about that should click here. The report mentioned that Article 225 of the Vietnamese Penal Code stipulated that violations of Intellectual Property Rights and all other related rights by private individuals carried a non-custodial sentence of up to three years. Such violations could also lead to a jail term that could also stretch to around three years. The report further mentioned that online businesses found guilty of violating such laws will have to pay a fine. This fine could go from VND 300 million to VND 1 billion. That roughly translated to from $13000 to $43800, but only for first offense. If the party is found to have repeated the offense, then the penalty will go up. In a repeated violation, the business should expect a fine of VND 3 billion. Concerned authorities could also suspend the businesses’ operations for a period of up to two years. Some reports have said that the threshold for any criminality is rather on the low side. In previous cases, the infringements had to have attained a commercial scale in order for a business to qualify for a penalty. New rules dictate that is a business has made an illicit profit that amounts to around $500 then it can get in trouble. affect the rather apparent rise and fall of all online streaming platforms which have their HQ in Vietnam? At the moment, it is very unclear if it will. All that readers need to know is that the United States of America is still playing hardball with countries such as China. The United States of America has insisted that these countries have not shown proper respect for Intellectual Property rights. In this regard, reason says that Vietnam would want the world to view it as a cooperative country. That is, unfortunately or fortunately, depending on how you look at it, also pretty unclear. It is, of yet, unknown whether the people working behind the piracy streaming site would reappear in the near future. The future for piracy streaming sites doesn’t look bright because of the great shift that is happening now. This great shift will boost the country’s enthusiasm towards safeguarding Intellectual Property rights in the whole country. Perhaps this is a good time to mention that 123Movies’ sister site Animehub is still going against all odds. The people working behind 123Movies launched this website back in December 2017. But interestingly, it is still online. Of course, there is no guarantee that it would still be online tomorrow. For all anyone knows, law enforcement agencies or operators themselves might shut it down in a blink of an eye. This is what the recent history of all these streaming sites has taught us. When it comes to torrent sites and piracy streaming sites, anything can happen. And it can happen very quickly. If we switch from countries to companies, then another interesting case is that of Comcast. Recently Comcast has come up with an update on its official repeat infringer policy. Now, the company wants to make it clear that pirates who are persistent in their piracy will risk losing their access to the internet. However, the company hasn’t specified when a given subscriber reaches the cut-off limit. Just recently, Comcast received a total of more than 50 DMCA notices. And it received them all in a single day. But that does not appear to have caused the company any problems. Perhaps, the company has realized that a gradual approach to this problem would prove more conducive. For more on this news story click here. Is USA Netflix The Best Against The World? How Do They Compare?